The Friona Public Library offers free wireless access (WiFi) for library patrons to use with their own personal notebooks, laptops and other mobile devices. These access points are unsecured and accessible only during normal library hours. A patron's use of this service is also governed by the Friona Public Library's Internet Policy. 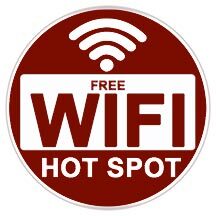 Due to the proliferation of WiFi networks, library users may also be able to access other WiFi networks within the our facility that are not provided by the Friona Public Library. Use of these non-Library wireless networks within the Friona Public Library's facilities is also governed by the Friona Public Library's Internet Policy. As with most public wireless "hotspots," the Friona Public Library's wireless connection is not secure. There can be untrusted parties between you and anybody with whom you communicate, and any information being transmitted could potentially be intercepted by another wireless user. Cautious and informed wireless users should choose not to transmit personal information (credit card numbers, passwords and any other sensitive information) while using any wireless "hotspot." Please take appropriate precautions when using this service. Library staff can provide general information or handouts for connecting your device to the wireless network, but cannot troubleshoot problems related to your wireless device or assist in making changes to your device's network settings and/or hardware configuration. The Friona Public Library cannot guarantee that your device will work with the Library's wireless access points. All wireless access users should have up-to-date virus protection on their laptop computers or wireless devices. The Friona Public Library will not be responsible for any information (i.e. credit card) that is compromised, or for any damage caused to your hardware or software due to electric surges, security issues or consequences caused by viruses or hacking. All users are expected to use the Friona Public Library's wireless access in a legal and responsible manner, consistent with the educational and informational purposes for which it is provided. Use of the Friona Public Library's wireless network is entirely at the risk of the user. The Friona Public Library disclaims all liability for loss of confidential information or damages resulting from that loss.